With the publishers gearing up for the release of A Dance with Dragons on 12 July, George R.R. Martin is continuing to round off the book, reporting that the novel has passed 1,600 pages in manuscript. In order to hit the July publishing date, the book apparently has to be handed in at some point in May; such is the manner in which the bulk of the book has already been edited, copy-edited and typeset, the publishers literally can get the book on shelves from delivery of the final pages in just a matter of weeks, which is an impressive achievement. Will the book be thicker in size than it is wide? Of course, the book passing 1,600 pages has triggered concerns about fitting the book into one volume. 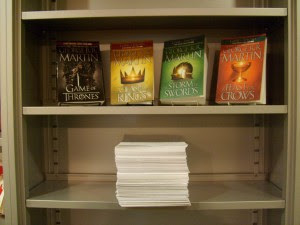 Martin has previously said that A Storm of Swords - 1,521 manuscript pages and 420,000 words - was at the upper limit of what his publishers could put in one book. More ominously, the decision to split A Feast for Crows came when the manuscript for that book also exceeded 1,600 pages. No-one seems to have talking about a split - at least in the hardcover edition - just yet, indicating several factors have come into play. 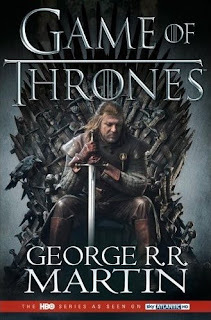 First off, sales of A Song of Ice and Fire have increased since 2000 to the point where a new George R.R. Martin novel is in the same sales bracket as a new Stephen King or a new Robert Jordan. Economies of scale mean that the publishers can now be much more confident of making a significant return and profit even given the greater production costs involved in producing a 1,000-1,100 page hardcover. Secondly, A Feast for Crows was split not just because of the 1,600 MS-page size, but also because Martin was still projecting that hundreds of more pages would be required at that point to bring the book to completion. For Dragons, Martin is projecting merely dozens more (and it appears all or most of these pages exist in draft, needing only finalisation rather than writing from scratch). Still, when combined with the appendices this will likely leave the completed Dragons around 1,700 pages in manuscript. Based on the previous books in the series, this will likely leave the book at a word count of over 450,000 words, possibly as much as 470,000. 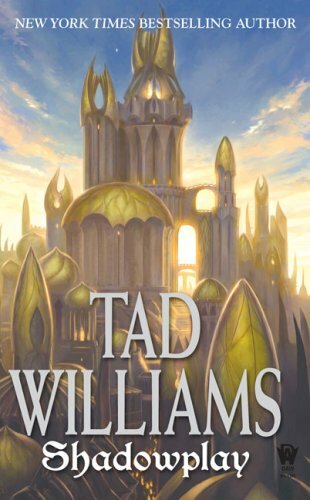 For comparison with other SFF novels of immense length, Tad Williams' To Green Angel Tower is 520,000 words, Peter F. Hamilton's The Naked God has been estimated at 470,000 words and the complete, one-volume Lord of the Rings is around 460,000 words. 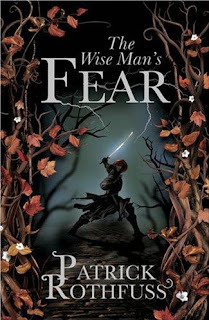 Recent doorstops The Way of Kings (by Brandon Sanderson) and The Wise Man's Fear (by Patrick Rothfuss) are positively modest in comparison, coming in at 385,000 and 395,000 words respectively. Of course, whilst the size of the book is impressive, far more telling is how well the narrative supports that immense length. 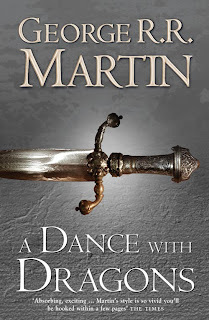 If Martin delivers a huge novel which also furthers the overall storyline of A Song of Ice and Fire decisively, that will be a great achievement, but a filler-filled book will be less popular. I guess in 104 days, we'll find out for sure. 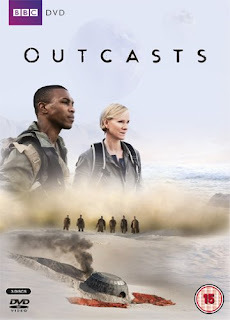 Outcasts is an eight-episode series which recently aired on the BBC. Intended to be a returning series, the show was axed after its first (and only) season due to low ratings but high costs. It would be an understatement to also say it had a 'mixed' reception. Outcasts looks great. Filmed on location in South Africa, the show's location shooting (enhanced by subtle CGI and other effects) adds a distinctly alien feeling to the show, helping the sense of otherworldliness that the producers were aiming for. However, whilst it looks big-budget there are clear limitations on this shooting: all of the action in the series seems to happen in a radius of about ten miles from Forthaven, on either side of one distinctive mountain, and after a while the impressive scenery becomes increasingly over-familiar (the same problem Lost suffered from). Forthaven itself is convincingly downbeat and lived-in, made up of box containers dropped from orbit which have been emptied and turned into cheap living quarters. There's also a nice contrast between the down-and-dirty living quarters to the high-tech HQ (actually a parked transport craft) and medical facility, though this doesn't quite transfer into the sociology of the settlement as much as you'd expect (people living in shacks don't seem to really mind other people are living in air-conditioned comfort). The quality of the performances is rather more variable. The stand-outs are Amy Manson as Fleur Morgan and Daniel Mays as Cass Cromwell, two of the settlement's security operatives who are usually at the forefront of any investigation that might be in progress, as well as serving as liaisons between the colony's government and its military wing of semi-autonomous 'expeditionaries'. These two actors have genre form - Manson from Being Human and Torchwood and Mays from Ashes to Ashes - and take their exposition-laden dialogue in their stride. Hermione Norris is much more out of her depth as Stella Isen (who is inexplicably pulling double time as head of security and chief medical officer), whilst Liam Cunningham veers from charismatic to wooden as President Tate (sometimes in the same scene), as if he can't quite get a handle on the character. Ex-BSGer Jamie Bamber is excellent in a role light-years away from Apollo, but his role in the series is somewhat less prominent than advertised. Ex-Ugly Betty star Eric Mabius gives a quite good performance as Julius Berger, the settlement's resident bad-but-charming powermonger, even if his tactics (playing the religious card, pursuing pragmatic politics or rallying the rabble) seem to shift randomly. The series' general premise is also solid. The settlement is isolated with little news from Earth and there are unknown forces at work beyond its walls (although after ten years you'd think that the expeditionaries would have discovered some more hard information about the planet and perhaps established more than just one colony town), setting up a vibe somewhere between Battlestar Galactica's New Caprica arc and Lost, complete with a group of 'Others' stirring up trouble in the wilderness. A whole host of backstory issues are also waiting to be explored, such as characters' murky pasts, some dark secrets from the founding of the colony and the past lives on Earth that some of the characters are trying to escape. So, we have a solid premise, some good actor, a reasonable budget and some great scenery. So what went wrong? Basically, the writing is awful, jam-packed with cliched dialogue, painful amounts of exposition and some true howlers ("What are they after?" "I know what I'd want...revenge,") that would fail any basic Scriptwriting 101 class. The general story arc - relating to a virus that once ravaged the colony, a bunch of outcasts from the settlement and Berger's powerbase-building efforts - is okay, if a bit familiar, but executed sloppily and clumsily. The 'problem of the week' episodes mid-season are also formulaic: either a random person emerges from the 70,000 random extras who make up the population to cause some crisis or something weird happens outside the settlement which requires the intervention of the command staff. Most of this is pretty tiresome, but Manson and Mays emerge as the best actors on the show because they just roll with it, whilst the others seem to struggle with their dialogue quite frequently. Even so, character motivations are often clumsily-established and somewhat vague. It's not until we're about three-quarters of the way through the season that that the sloppily-set-up threads start coming together more satisfyingly, with attempted coups, viral warfare and the introduction of new factions giving the show a late-season sense of dynamism and energy that it was sorely lacking at the start. Unfortunately, this is too late in the day. Outcasts (**½) had a lot of promise and the ingredients are all solid, but the execution is all too frequently mediocre to rise above the barely-watchable. If you can hang on to the last two episodes, a great deal more potential appears, but is then scuppered by the cliffhanger ending you know is never going to be resolved. The show is available now on DVD and Blu-Ray in the UK, with no US release apparently planned at the moment. Shadowmarch Castle is in crisis. Barrick Eddon is missing, presumed killed in battle, whilst his sister Briony has also vanished from the castle, leaving it under the redoubtable stewardship of the ambitious and scheming Hendon Tolly. An army of the Twilight Folk has occupied the landward side of the fortress but not besieged the castle proper, but far to the south the great city of Hierosol is under attack by the armies of Xis, threatening the safety of both the fugitive Quinnitan and King Olin Eddon, a captive of the city's rulers. Shadowplay is the second volume in the Shadowmarch quartet and carries the series past its halfway point. As with the first volume it's a competently-executed, traditional secondary world fantasy, but as a novel it's even slower-moving and more badly-paced than the first book. 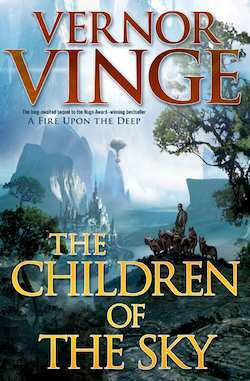 The book is divided into several widely-separated narratives: Barrick and Ferras Vansen's adventures beyond the Shadowline, Briony on the run with a bunch of theatrical players, Olin as a captive in Hierosol, Chert the Funderling trying to help his amnesiac, adopted son and various characters in Southmarch living under the new regime. Unfortunately these narratives aren't really tied together well. They also vary wildly in quality and execution. The autarch's assault on Hierosol is tense and well-handled, but Briony on the road with the travelling players is dull. Even worse is Barrick's adventures beyond the Shadowline, where Williams aims for a kind of surreal mysticism and ends up with turgid boredom (though a few moments are genuinely unsettling). Chert, the most interesting character from the first book, is also hugely reduced in importance and gets little to do here. The book's biggest problem is that whilst we have some big battles, some ominous scenes and some intriguing (if sometimes soap opera-ish) developments, the overall storyline doesn't develop very far. 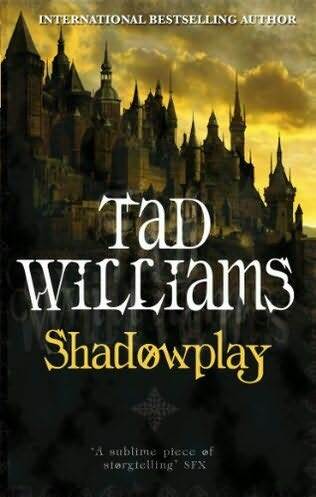 For only the second in a four-book series, it feels like Williams has far too many balls in play and is only able to move each of them forward a very small amount rather than the whole thing forward decisively (probably a reason why this trilogy expanded to four volumes). The book is somewhat frustrating as Williams is still a good writer and some storylines and characters are well-handled, but overall the book's pace feels misjudged and there are no real surprises here. Shadowplay (***) is a competently-executed fantasy novel, but the plot is slow to develop and there are too many storylines which feel extraneous or badly-handled to be really satisfying. The novel is available now in the UK and USA. Prolific fantasy author Diana Wynne Jones has passed away at the age of 76. She had been battling lung cancer for the past two years. Born in 1934, Jones studied at Oxford and attended lectures by J.R.R. Tolkien and C.S. Lewis. She published her first novel, Changeover, in 1970. Jones is best-known for her 1986 novel Howl's Moving Castle, recently adapated as a well-received film for Studio Ghibli, and her Chrestomanci and Derkholm series of novels. She received the World Fantasy Lifetime Achievement Award in 2007. Her book, The Tough Guide to Fantasyland should be required reading for anyone planning to write a secondary world epic fantasy. 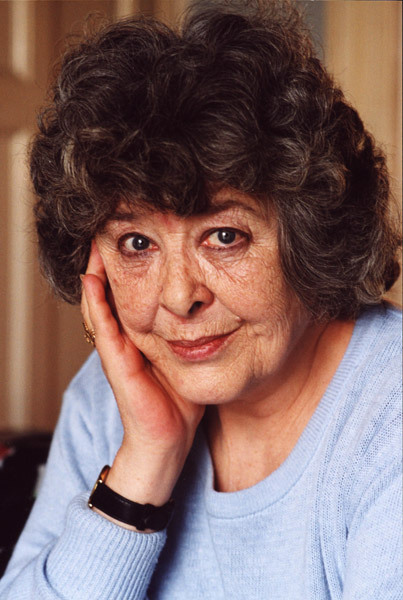 "Rest in Peace, Diana Wynne Jones. You shone like a star. The funniest, wisest, writer & the finest friend. I miss you." Very sad news. Condolences to her many friends, family and fans. 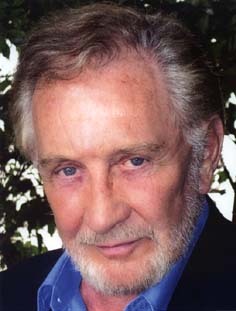 Roy Dotrice, the popular audiobook reader for the first three A Song of Ice and Fire books, has been signed up by Bantam to read the audiobook for A Dance with Dragons. Schedules are being put together now for the recording and release of the audiobook. Excellent news. There were fears that Dotrice's health issues - the same issues that meant he couldn't take up the role of Grand Maester Pycelle in the HBO series - would prevent him from reading the audiobook, but fortunately he has made a full and rapid recovery. HBO are also now looking at giving him a role in Season 2 (if renewed) of the TV show. Personally I think he'd make a great Maester Cressen (if a rather brief appearance). Horror author David Wellington is moving into fantasy, adopting the pseudonym David Chandler for his Ancient Blades Trilogy. 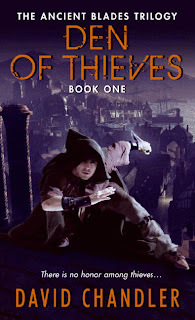 The three books are being published in rapid succession: Den of Thieves in July, A Thief in the Night in October and Honor Among Thieves in December. The trilogy is also significant as it marks the launch of the UK-based HarperCollins Voyager as a worldwide brand, following in the success of Orbit going global a couple of years ago. "A mix of pulp and high fantasy, at turns funny, suspenseful, and touching, David Chandler’s Ancient Blades trilogy is laden with twists and turns, high adventure, a little romance, and a lot of fun. Croy is a knight errant, and bearer of an ancient blade with a powerful destiny. He's also kind of, well, dim. He believes in honour. He believes that people are fundamentally good, and will do the right thing if you give them a chance. Unfortunately, Croy lives in the city of Ness. A thriving medieval city of fifty thousand people, none of whom are fundamentally even decent, and who will gleefully stab you in the back. If you give them a chance. Ness is also the home to Malden. Malden is a thief. He lives by his wits, disarming cunning traps, sneaking past sleeping guards, and running away very fast whenever people are trying to kill him. Which is often. One time Malden stole a crown. And then he had to steal it back to avoid a civil war. Croy got the credit, of course, because he's a noble knight. Another time the two of them went into the tomb of an ancient warrior race, and Croy accidentally started a barbarian invasion. Guess who had to clean that up? They probably wouldn't be friends at all if it wasn't for Cythera. Cythera is a witch. A mostly-good witch. And despite herself she can't stop thieves and knights falling in love with her… At the same time." Top American chef Tom Colicchio has created a number of dishes inspired by the HBO series Game of Thrones. Starting next week, HBO food trucks will be handing out these dishes at various locations in New York City to passers-by. As a way of marketing a show, this is definitely one of the more interesting techniques I've heard of. HBO have also published the recipe for the lemon cakes (PDF) mentioned in the clip. Huzzah! After fourteen years in development, Duke Nukem Forever is finally coming out in early May! Nothing can stop it now! 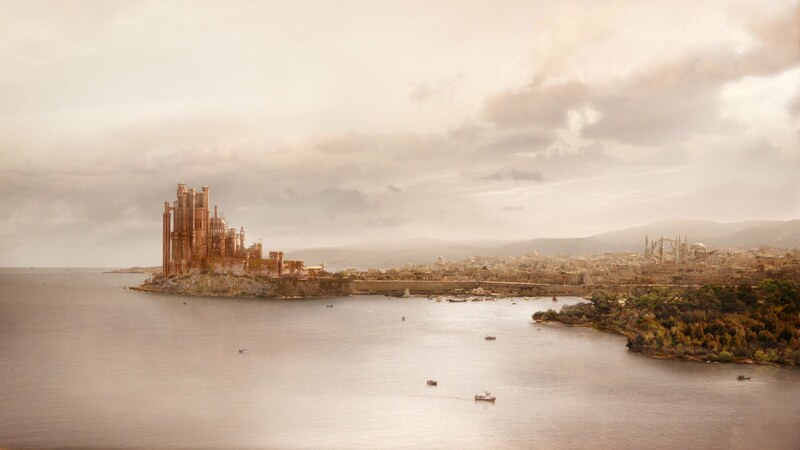 HBO have released four high-res images of locations in the series: one of King's Landing (see below), one of the Wall and two of Winterfell. These are pretty smart and worth a look. King's Landing, with the Red Keep prominently displayed. The Great Sept of Baelor can be seen on the far right. Still with the TV series, HBO has released a new trailer, this one entitled 'Power'. This trailer seems slightly more aimed at people who haven't read the books. On the computer game front, Cyanide have released the first screenshot from the second game, the RPG, due in summer 2012 on PC and console. 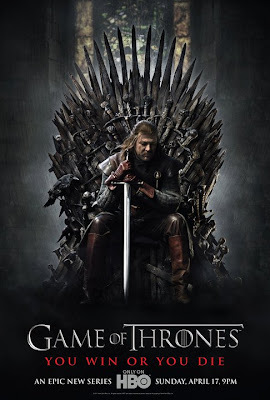 They've also spoken about it a little for the first time, revealing that the game will alternate between two characters, Mors Westford (a member of the Night's Watch and skinchanger) and Alester Sarwyck, a noble heir returning to Westeros after years travelling the east, during which time he became a priest of the red god. The game takes place close to the time period of the novels, and some characters from the books like Varys will make an appearance. "You appear concerned, Lord Commander." "Indeed. 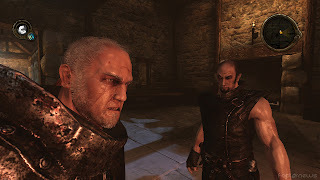 Are we actually in the GoT RPG, The Witcher 2 or Dragon Age? It's hard to tell." 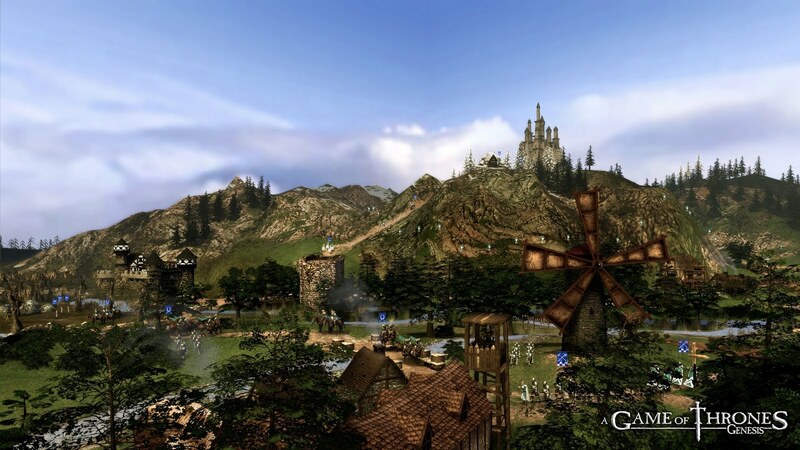 In addition they have released two new screenshots from the real-time strategy game, Genesis, which is due later this year. I have to say these screenshots are very unimpressive. Early fears that they are aiming more for an Age of Empires-style, stylised approach to the game appear to have been realised, with out-of-scale units and buildings and seriously unambitious ideas for the Wall and the Eyrie (which in the game appears to sit on a rather mild hill rather than on a shoulder of a 17,000-foot-tall sheer mountain). The manuscript is so huge it generates its own gravitational field, and has consumed the books it formerly shared the shelf with. HarperCollins Voyager are also now listing their estimated hardcover page count as 1,040 pages, whilst Bantam in the USA are still only predicting 1,008. A final page count is waiting for the delivery of the last couple of chapters, but these estimates confirm the book is expected to be gargantuan. 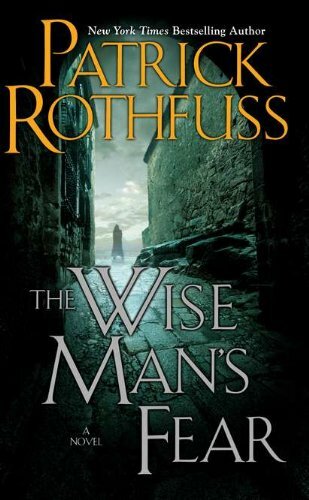 Unfortunately, some further controversy has been caused amongst UK purchasers by the news that Voyager is publishing the hardcover at a recommended retail price of £25.00, or about £5 more than the price of a standard hardcover (both The Way of Kings and The Wise Man's Fear, which are not far off ADWD's length, were £20 in hardcover). However, the novel will still be heavily discounted before release and during the first few weeks on sale. 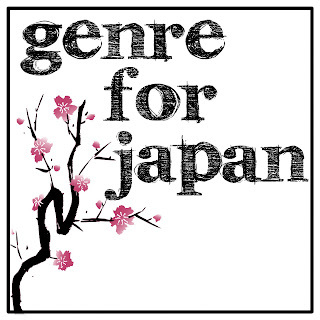 Following the recent devastating earthquake and tsunami in Japan, a group of SF bloggers and professionals have gotten together to raise funds to help in the relief effort. Blogger Amanda Rutter (of Floor to Ceiling Books), author Louis Morgan, Solaris editor Jenni Hill, blogger Ro Smith and writer Alasdair Stuart have joined forces to create the 'Genre for Japan' appeal, auctioning limited collectibles, rare items and signed books to raise funds for British Red Cross efforts in Japan. Bidding for the items begins on Monday and The Guardian has coverage of the appeal here. 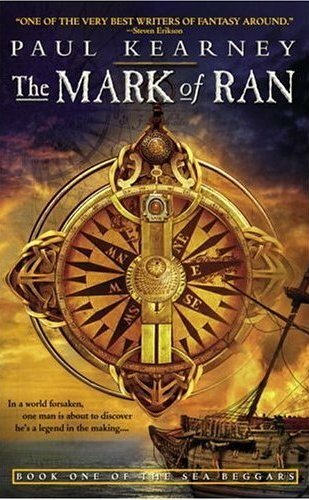 Paul Kearney's Sea-Beggars series got off to a roaring start in 2004 with the excellent The Mark of Ran, followed up by its sequel This Forsaken Earth in 2006. Unexpectedly, Bantam abruptly dropped the series, leaving Kearney briefly publisher-less before he was rescued by Solaris. 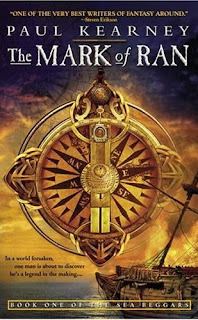 Unfortunately, Bantam UK held onto the rights to the Sea-Beggars series, preventing Kearney from completing the final book in the series, Storm of the Dead. He went on to write the well-received Macht trilogy (The Ten Thousand, Corvus and the forthcoming Kings of Morning) whilst the rights situation was thrashed out behind the scenes. Happily, the situation has now been resolved. 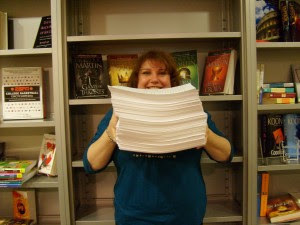 Solaris have acquired the rights to both the existing books and Storm of the Dead and will publish all three books in one omnibus volume in late 2012. Jonathan Oliver, commissioning editor of Solaris Books, has acquired UK/US rights in the two previously-published SEA BEGGARS novels by Paul Kearney plus a third and final volume, STORM OF THE DEAD. They will be published in a one-volume omnibus, following the success of Kearney’s MONARCHIES OF GOD books in this form with Solaris (who also publish his Macht novels, THE TEN THOUSAND, CORVUS and the forthcoming KINGS OF MORNING). The book is due for publication late in 2012, and the agent was John Jarrold. "Paul and I are both delighted that this series will be completed and published in its entirety by Solaris," said John Jarrold. "He is a major talent and anyone reading this or his other novels will see that very quickly." "It’s a great pleasure to welcome Paul back to Solaris," editor-in-chief, Jonathan Oliver, said. "Fans of Paul’s will be delighted that the SEA BEGGARS series is finally seeing completion and new readers will be bowled over by the work of this brilliant and intelligent fantasy writer." Excellent news for Paul and his fans, who'll finally be able to found out what happened to Rol Cortishane and his allies following the cliffhanger ending to This Forsaken Earth. A planet-wide insurrection has broken out on Periremunda, necessitating the deployment of the Imperial Guard to the planet to help crush it. The Valhallan 597th is part of the deployment, along with its increasingly legendary commissar, Ciaphas Cain, hero of the Imperium. As usual, Cain hopes for a quiet, simple assignment where he can sit out the trouble, and also as usual he finds himself instead at the cutting edge of danger. This time, a simple rebellion is revealed to mask a whole number of other threats which Cain and his ever-faithful aide Jurgen have to deal with. In this case, operations are complicated by Periremunda's unique geography, a world of burning, uninhabitable deserts with settled plateaus rising above them. 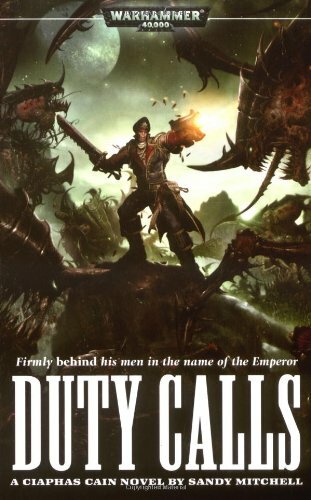 Duty Calls is the fifth Ciaphas Cain novel and, disappointingly, is a little bit of a let-down after the terrific Death or Glory. The good news is that we are reunited with the Valhallans 597th and also with Inquisitor Amberley Veil and her retinue of demented allies. The bad news is that Mitchell has seriously dialled down the humour and amusing references in this book. There are a few (mostly restricted to the footnotes and the extracts from General Sulla's ludicrously bombastic memoirs that provide a commentary on events where Cain is not present), but this is a more serious novel than its predecessors. Not that this is a bad thing. 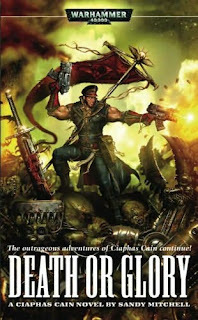 Mitchell is great at describing the action which is the cornerstone of any Warhammer 40,000 novel, and is also solid at handling horror and drama as well as the traditional black humour of the books. So whilst Duty Calls won't have you laughing as much as its predecessor, it's still a solid and readable action-adventure tale, refreshingly short and to the point with a good line in characterisation. Whilst the book's main storyline is self-contained, some dangling storylines are picked up from Death or Glory and carried through to the next book in the series, Cain's Last Stand, resulting in the sense of bigger events unfolding outside of this one conflict. Mitchell has created an interesting world in Periremunda and describes its scenery and geography with gusto. Elsewhere the book suffers from perhaps a tad too much reliance on the Ciaphas Cain formula - Cain is bluff and cowardly but emerges a hero, whilst Jurgen and his melta gun and psi-inhibiting abilities save the day more than once - as well as a sense of plot overload. As well as the rebellion, Mitchell also jams in genestealers, Chaos cults, a renegade Inquisitor and a meeting with a particularly fanatical branch of the Sisters of Battle. As a result some elements are under-developed. The planetary arbitrator goes from being a major character at the start to virtually vanishing altogether, whilst Cain's ideological clash between his pragmatism and the Sisters' idealism is never developed to its full potential. Still, even slightly sub-par Cain remains highly entertaining and readable. Duty Calls (***½) is available now as part of the Defender of the Imperium omnibus in the UK and USA. The UK mass-market paperback edition of The Way of Kings has been split in half due to the book's extreme length. Part 1 will be published on 26 May 2011, followed by Part 2 on 16 June. The American paperback, in one volume (of 1,344 pages!) will hit on 24 May. In related news, the UK gets its own versions of Elantris on 11 August, The Alloy of Law on 17 November and Warbreaker in December. Paul Kearney's Kings of Morning has apparently been delayed until November 2011. Disappointing, though that's still only a year after his previous novel, Corvus, was published. No reason has been given for the delay. 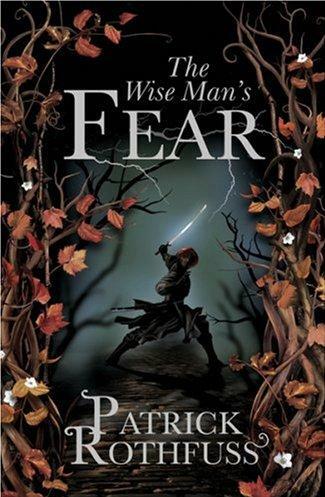 The Wise Man's Fear (***½) is a difficult book to review, as it's well-written, sometimes compulsively page-turning and features some extremely well-played and subtle storytelling. On other, briefer, occasions it's tediously dull, cloying and prone to attacks of purple prose (particularly in the frisky fairy section). The book is also monstrously overlong and could have been split into two or three more focused, shorter books without too much of a problem. 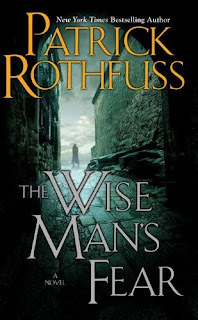 But Rothfuss is too good a writer to let the book's many issues sink it, and the book ends with the reader left wanting to know what happens next, which is the key thing. The novel is available now in the UK and USA. 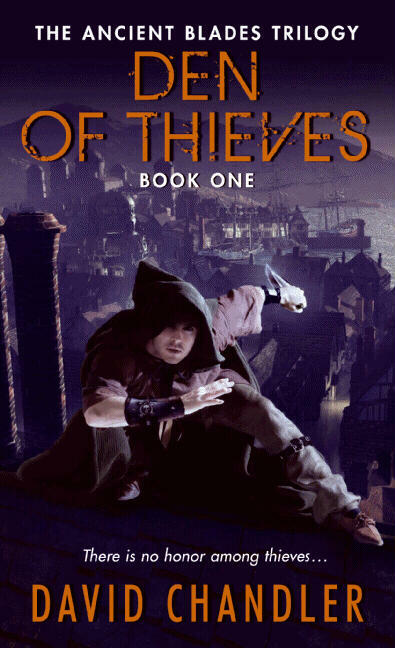 If that looks familiar, that's because it's the UK cover, re-tweaked to include the series title, A Land Fit For Heroes. Del Rey are also listing a release date of 11 October 2011. Interesting to see if the book, which has only been delivered in the last few days, will make that date. HBO have released a metric ton of new promo material for Game of Thrones today, starting with the four posters shown below. They've also released four 'House' videos, one each for Houses Targaryen, Stark, Lannister and Baratheon. The Lannister one is notable for our first glimpse of Charles Dance as Lord Tywin Lannister, whilst the Baratheon one makes a point of mentioning Stannis several times, though he won't be cast until the second season. Those based in the USA should also note that Comcast have a ton of exclusive videos (USA-only at this time) on their site, including expanded behind-the-scene features and character profiles (including Jason Momoa characterising Khal Drogo as 'the biggest pimp'). Winter is Coming has YouTube links. Excellent stuff, though I think HBO need to be careful lest they overload the potential viewer with featurettes, posters and teasers. There's quite a lot of material out there now. The Wertzone is up for an SFX award! Which I have absolutely no chance whatsoever of winning! Still, gratifying to be noticed. SFX Magazine ("Europe's Biggest-Selling SF Magazine") has opened its 2011 SF Blog Awards, with categories for Best Podcast, Best Forum, Best Celebrity Blog and so on. The Wertzone is up for the 'Best Book Blog' award (which the SFX team admit is a stretch, as the blog isn't exclusively about books), which is cool. My competitors are Graeme's Fantasy Book Review (excellent SF review blog), Ansible (the most feted SF newsletter in the genre's history) and SF Signal (a vast review site with tons of news, articles and features, run by multiple contributors). Which means I have absolutely zero chance of winning. The poll is a nice idea, especially since SFX is running it separately to their annual reader awards meaning that different kinds of online coverage can be acknowledged. Richard Morgan has completed The Cold Commands and should deliver it imminently. The book will then enter the editorial cycle and we can see if the hoped-for late 2011 release date holds. Great news. Interesting to see how the story develops after The Steel Remains. First up, a new trailer for the HBO series. Some cool elements here, such as the first dialogue from Varys (Conleth Hill), our first look at Old Nan (the late Margaret John) and, most impressive, the first long-shots of Winterfell and King's Landing. Secondly, a featurette on House Stark, featuring some interesting musings on the house's honour and its members, featuring the first appearance of some actors in behind-the-scenes featurettes. Korra lashing out with destructive magic, possibly having just sat through M. Night Shyamalan's film version of the original series. The new series picks up the storyline seventy years after the events of Avatar. Aang has passed away and Korra has become the new Avatar. Having already mastered fire, water and earthbending, she travels to the steampunk-eqsque Republic City to seek out Aang's son, Tenzin, to learn the art of airbending. However, there is widespread distrust and paranoia over magic-users developing amongst the population, leading to civil unrest. Originally mooted as a 12-episode mini-series, Nickelodeon have extended the first run to 26 half-hour episodes. Rather than a multi-year arc, the new series will apparently adopt the 24 model of having a different, over-arcing storyline each season (suggesting the project may be evolving into an ongoing series rather than a limited one). 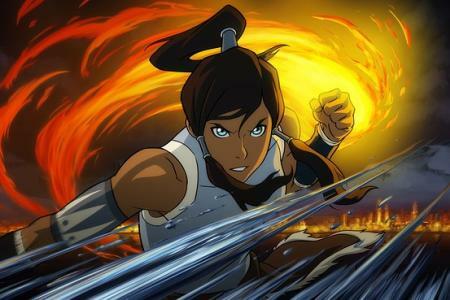 Original series producers Michael Dante DiMartino and Bryan Konietzko are on board to write every episode, whilst vocal talent will include familiar Avatar stalwarts such as Dante Basco (Zuko) and Dee Bradley Baker (Appa and Momo) in new roles, as well as relatively high-profile actors like J.K. Simmons (J. Jonah Jameson in the Raimi Spider-Man movies) playing Tenzin, Daniel Dae Kim (Jin from Lost) as Hiroshi Sato and Lance Henrickson (Bishop from Alien movies, amongst many other roles) in an undisclosed military role. Avatar: The Last Airbender was a great show. Whilst it's sad to say goodbye to the old crew, it'll be interesting to see the world explored further in the new series. Terry Pratchett has signed a deal with Prime Focus Productions to bring the 'City Watch' subset of his Discworld novels to television. The deal will allow for an ongoing TV series featuring new adventures and episodes based on the Ankh-Morpork City Watch, commanded by Sam Vimes and made up of a mixed group of humans, trolls, werewolves, vampires, zombies, golems and dwarfs. Exactly how this will work - whether they'll start with an adaptation of Guards! Guards! or a new introduction - is unclear at present. Pratchett was working with the BBC on a similar project a few years ago (hence why none of the 'City Watch' books have been optioned by Sky for their TV movie adaptations) but pulled out after the BBC refused to allow him a say in the running of the series. It's unclear if a broadcaster is interested in the new project, but given that the head of Prime previously worked on the Sky adaptations, we can guess that Sky will at least give it a look. Meanwhile, the next Sky novel adaptation, Unseen Academicals, starts shooting in the near future. Pratchett's next Discworld novel, Snuff, comes out in October. Condemned to be burned as a witch for the heresy of using sorcery, young Gair is surprised when his life is spared by a whim of the Preceptor. Exiled from his homeland, Gair is taken into the care of Alderan, a man on the lookout for those with Gair's talents. 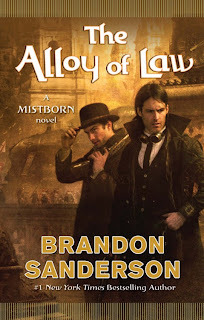 Alderan takes Gair to a place of safety where he can learn to control his powers, but there are those within the Church who are not mollified by the Preceptor's pardon and have sent their witchfinders to track Gair down. 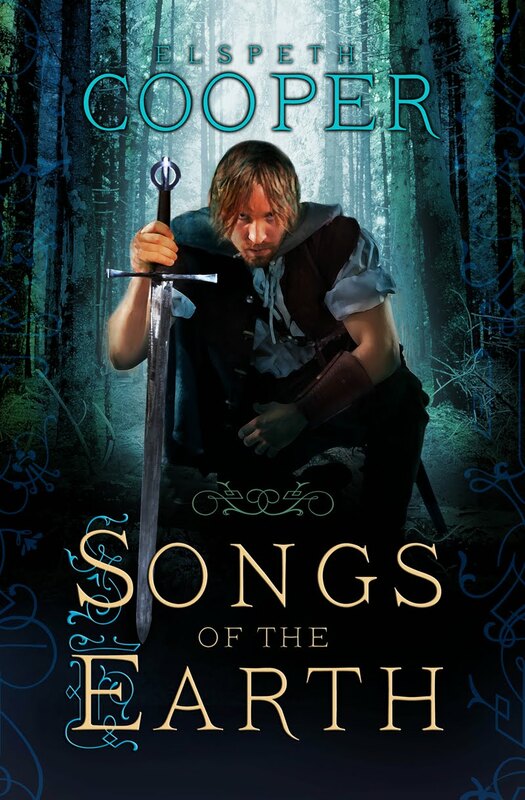 Songs of the Earth is the debut novel by Elspeth Cooper, the first in The Wild Hunt Trilogy. It's a traditional secondary world fantasy with a number of interesting flourishes which rise it above the pack. 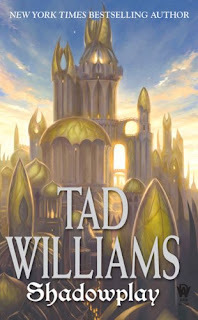 At first glance there is little new or surprising about the novel, which is firmly in the standard epic fantasy mould. Young orphan hero of uncertain birth (though there's some nice genre-nodding jokes about that), a magical academy, romance, elves (sort of) and so on. The academy stuff recalls The Name of the Wind (in a good way) whilst the notion of magic as a song is intriguingly-handled, but again unoriginal. Characterisation is solid and somewhat more subtle than first expected. Gair is the typical young hero protagonist, but he goes through some interesting and somewhat traumatic developments which start making him harder-edged and more ruthless. Alderan is pretty much the standard 'old wizard mentor' character, though amusingly tilted slightly more towards Bayaz than Belgarad. And so on. What is interesting is that a number of the major characters are handicapped in some way: Gair is branded and recovering from torture and trauma; Ansel is old, infirm and suffering from a lung disease; Darin has diabetes; and Aysha has two crippled legs, but her shapeshifting skills enable her to avoid her disability for a few hours per day. Cooper doesn't beat the reader over the head with this (in fact I was halfway through the book before noting it), but it's interesting and all-too-rare to see handicapped and infirm characters depicted in a fantasy novel, with disabled issues viewed though the lens of a world where magic exists (but its healing properties have limits). It's not a huge deal, but it's an interesting minor theme that Cooper develops subtly through the book. Elsewhere the plot develops nicely, the magic is intriguingly high-end (after a number of gritty, low-magic works it's good to see people throwing up fortress-enveloping shields or creating entire storms from scratch) and the characters work well. On the minus side, it's nothing we haven't seen before. 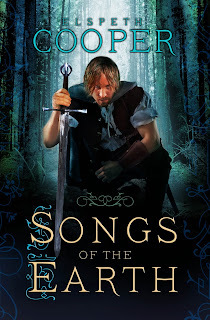 Songs of the Earth (***½) is a solid debut novel with plenty of promise but, as this stage, not a huge amount of originality. It will be published on 16 June 2011 in the UK and imports should be available in the USA. HBO have also unveiled the titles of the first two episodes of the series. Winter is Coming will air on 17 April, followed by The Kingsroad on 24 April. You can also now view the first two full clips from the series on YouTube: Jon giving Needle to Arya, and Tyrion arriving at the Crossroads Inn. "Apart from the overwhelming peer pressure that comes from everyone on God's green earth apparently looking forward to this one, I have a little insider information about this one. 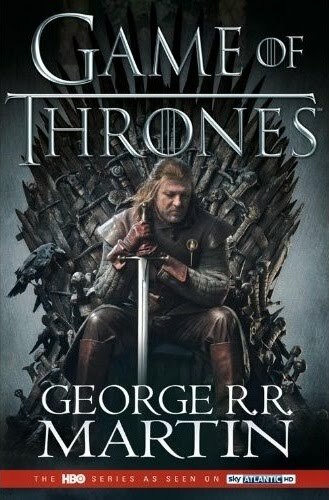 I started reading A Song of Ice and Fire over a decade ago, and from everything I've heard and what I've seen of the in-process manuscript, this is *the* book I've been waiting for. Not only is it made out of the characters I enjoy the most, but my sources inform me that the structure of the book is what I was hoping it would be. I am very, very optimistic about this one." Also check out David Louis Edelman's interesting thoughts on the book in the same post, where he muses on how Martin can handle the pressure and the expectations for the book. Death or Glory is the fourth Ciaphas Cain novel and author Sandy Mitchell decides to shake things up a little by rewinding to his early days when he wasn't as well-known with such a formidable reputation. 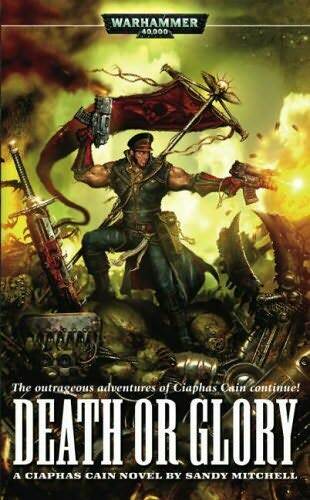 On the one hand it's sad not to see the familiar faces of the Valhallan 597th knocking around, but on the other Mitchell's decision to shake things up pays off handsomely, as Death or Glory is the best book in the sequence to date. The structure is a sort-of demented black humour version of Erikson's Chain of Dogs, as a terrified Cain tries desperately to avoid confronting the enemy and hopes to be able to sneak past them. Instead he ends up escorting hundreds of civilians and isolated Planetary Defence Forces from behind enemy lines through several major battles towards safety. Along the way he meets a bunch of colourful characters and forges his later reputation, as Cain's actions inspire the demoralised defenders elsewhere to great deeds. As usual Cain is self-deprecating and makes claims of cowardice, but Mitchell seems to finally get a handle on the dissonance between Cain's self-professed cowardice and lack of acumen with the self-evident skills the character displays, by citing Cain's arrogance and his love of having an amazing reputation which he cannot risk being besmirched, possibly even at the cost of his own life. This realisation allows Cain to shake off the Flashman-in-space tag and begin developing more satisfyingly as a character in his own right. Death or Glory is also the funniest book in the series so far. We learn that after Cain is reported KIA, the resulting bureaucratic controversy to get him undeclared dead takes so long to sort out that eventually a standing order is given that Cain is never to be reported KIA until he's been missing for several years (this order is not rescinded even when Cain apparently does die of extreme old age, meaning he's still on the active duty roster years after being buried with full military honours in front of the Imperium's most senior military personnel). Elsewhere we learn that a scholarly work on the Orks has the frankly brilliant title Waaagh! and Peace ("Waaagh!" being the traditional Ork battlecry in the WH40K universe), whilst the Orks have an apparently religious belief that any vehicle painted red or given red strips will go faster than anything else (solidifying the characterisation of the Orks as demented Essex lads and Cockney wide-boys). One of the members of Cain's convoy is a vet based on a character from the All Creatures Great and Small novels and TV series. And so on. Weaknesses? Only a few niggles. Whilst it's great the book doesn't outstay it's welcome, at 250 pages (in the omnibus) it does feel a little short for its epic scope. A few more episodes of Cain's journey (which he admits he skips over) wouldn't have gone amiss. It also would have been interesting to see Cain reunited with his unit at the end given his CO's constant doubts over Cain's abilities, but alas we are denied this potentially amusing scene. Death or Glory (****½) is ridiculously entertaining fun, written with verve and wit. Not high literature, but terrifically engaging and sure to leave a smile on your face. The novel is available now in the UK and USA as part of the Defender of the Imperium omnibus. Just a reminder that voting is still underway for the 2011 David Gemmell Awards shortlist. This isn't the final vote, just the first round to whittle the longlist down to five finalists in each category. My votes were for Corvus by Paul Kearney for the Legend Award for Best Novel, Farlander by Col Buchanan for the Morningstar Award for Best Newcomer and The Black Lung Captain for the Ravenheart Award for Best Cover Art. For the last five years or so over on the Malazanempire forum, various fans have been coming up with ideas for a complete world map. Whilst maps of the individual continents and sometimes individual kingdoms and cities appear in the novels, a grand overview map linking everything together has not appeared so far. At one time Erikson indicated an Encyclopedia Malazaica, complete with finely-detailed maps, would follow the completion of The Crippled God, but more recently has indicated this project is now on the back-burner and would only appear - if at all - much later, possibly after Esslemont has completed his books (the latter two of which will take place on continents as yet unvisited in detail in the books, namely Assail and Jacuruku). For this reason the fan maps keep a-comin'. This is the latest version of my map, updated with information from Stonewielder and The Crippled God, not to mention with the help of a rough map released by the Malazanempire admins based on a very rough drawing by Erikson himself. The shape of the continents should now broadly be correct and the placements more or less accurate, though Erikson and Esslemont's own maps are prone to a lot of changes, so don't be surprised if additional information in forthcoming books invalidates anything you see here. Bantam Spectra have released the finalised cover art for their new paperback and tradeback editions of A Song of Ice and Fire. 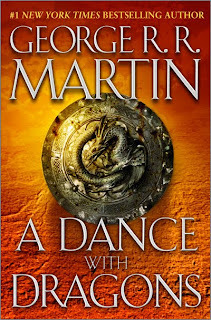 As mentioned previously, this is the Larry Rostant art used on the current UK editions of the books, with some changes (A Game of Thrones has the cover from the UK A Dance with Dragons). 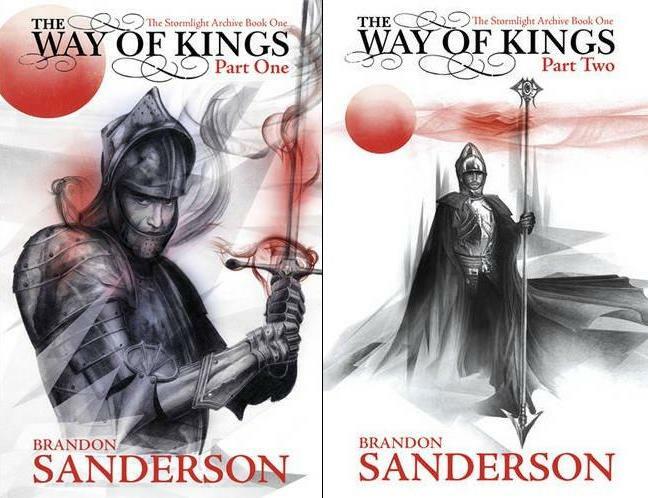 The final covers differ from the drafts I've posted previously only in emphasising the HBO tie-in banner a bit more and changing the background colours on the first two books. The new editions should hit American bookstores on 22 March, along with a special HBO tie-in edition of A Game of Thrones in tradeback and paperback (we're still waiting for the final version of that). In the UK, Voyager have no plans to revise their artwork, I am informed, though the HBO tie-in edition will also be released (in a new typeset) here, possibly not until a week after the US. EDIT: I've been told the new editions have already hit some bookstores in the USA and Canada already. EDIT2: Winter is Coming has discovered the apparent final version of the HBO tie-in cover. EDIT3: Sub Press are reprinting the first two limited editions of A Song of Ice and Fire (previously handled by Meisha Merlin before they imploded) and also have 30 completed pieces of art for A Dance with Dragons. There's just a couple more which will need to be inserted once they have the final manuscript, then they can move into production. So the limited ADWD should be available soon-ish after the regular edition. It is 1348 and the Black Death is sweeping the English countryside, killing tens of thousands. A young monk, Osmund, has fallen in love with a young girl who has taken refuge in his monastery. 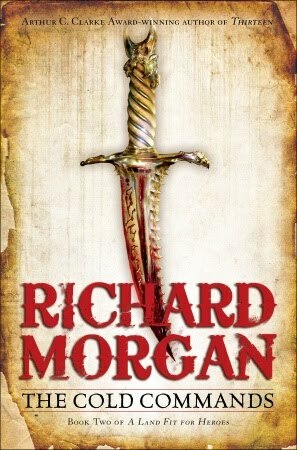 His actions lead him to joining a band of the King's men, led by the knight Ulric, on a mission to find a marshland village reputed to be in the grip of witchcraft. Along the way, he hopes to break off and run away with his love. But in the woodlands he finds himself drawn onto a far darker and crueler path. Black Death is a relatively low-budget movie financed and made in Germany, although the film is in English and has a mostly British cast. It stars Sean Bean as Ulric and Eddie Redmayne - the main character in the recent adaptation of Pillars of the Earth - as Osmund, with veteran actors David Warner (too many roles to list) and Tim McInnery (Blackadder) in support, along with rising star Carice van Houten (noted for recent roles in Black Book, Valkyrie and Repo Men). A bunch of solid supporting actors such as Emun Elliott (soon to be seen in Game of Thrones, along with Bean) and John Lynch (Merlin's father in the BBC series of the same name) line out the relatively small cast. Given this is a small-budget movie with Sean Bean wearing armour and swinging a sword, the first impression is of a cheesy action flick. Nothing could be further from the truth. Black Death is a surprisingly bleak and dark movie about faith, power and fundamentalism. Sean Bean's Ulric is a far, far cry from his other heroic roles or his out-and-out villains. Instead he's a God-fearing knight who believes absolutely that the Black Death is God's punishment of humanity for its sins. He's a brave and capable warrior, but also utterly unrelenting and ruthless in his quest, capable of killing anyone who gets in his way. Redmayne's Osmund is idealistic and hopeful, shocked by the viciousness of the world and the perchance for violence demonstrated by his new associates. The film unexpectedly moves into Wicker Man territory when our protagonists reach the supposedly witch-infested town and become engaged in a struggle of faith, reason and power. McInnery is cast against type as the the town headman, with Van Houten as the woman who has brought hope to it. Van Houten is a little too obviously villainous from the off, but her contempt of those who slavishly believe whatever they are told is well-played. The director, Christopher Smith (best-known for Severance), seems to be aware of the potential for sniggering comparisons to Monty Python and the Holy Grail and with Blackadder, so tackles them head-on. McInnery's casting is possibly one allusion to this, whilst the scene with the monks flagellating themselves as they walk along seems to be a very overt reference to the Grail. Beyond these nods, there is little humour in the film, especially once it moves into its final, dark act. The film's biggest weakness is that the supposedly wordly wise knights fall a little to easily into a certain and very obvious trap, and whilst the film's focus is commendable in an age of bloated 3D monsters, some side-elements and secondary characters could have done with a bit more fleshing out. The film's ending is a startling, expectation-destroying sequence. Initially it appears to render the entire film pointless, but on further reflection it raises further questions over corruption and fundamentalism that are surprisingly effective. 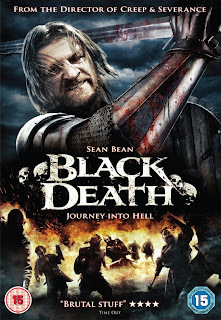 Black Death (****) is a dark, bleak and occasionally powerful movie which poses hard questions of its audience. A sometimes uncomfortable watch, this is a far more intelligent and interesting movie than it looks like on first glance. It is available now in the UK (DVD, Blu-Ray) and, on Region 2 import only, USA (DVD, Blu-Ray). Erikson's biggest success in The Crippled God is with avoiding the nihilism that has occasionally crept into previous books by emphasising the overriding theme of the Malazan series, which has always been compassion. Heroism and self-sacrifice, amongst common soldiers and gods alike, abounds in this book. Erikson pushes forward the message that true heroism is reached when it is performed unwitnessed (which recalls a line from Babylon 5: "Here, in the dark, where no-one will ever know.") with no singers or writers to celebrate it later. There is tragedy here, as each victory only comes at a tremendous cost, but less so than in earlier volumes. With everything on the table - the warrens, the gods, the world, humanity and ever other sentient being on the planet - the Bonehunters and their allies simply cannot afford to fail, even if it means crossing a desert of burning glass, facing down betrayal or forging alliances with old enemies, and Erikson has the reader rooting for them every step of the way. "This is a momentous scene, you fool! This is where everything really, truly, finally begins! So squeeze the ale from your brain, mortal, and say something worthy of your kind. You stand before a god! Speak your eloquence for all posterity! Be profound!" Indeed. There's a clarity to Erikson's writing here which is refreshing. There's still some knowing glaces, enigmatic pronouncements and other techniques apparently designed solely to drive fansites nuts for the next few years, but less than in prior books. Erikson's battle mojo is also back in full swing, with the engagements described with an appropriate amount of chaos and desperation. 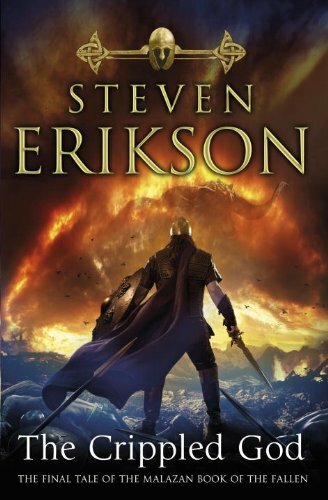 The Crippled God (****½) marks the end of this crazy, awesome, infuriating, awe-inspiring, frustrating series, but fortunately not the end of this crazy, awesome, infuriating, awe-inspiring but frustrating author's career. The Malazan Book of the Fallen bows out in fine style. The novel is available now in the UK and USA. Styria is accurate but obviously everything else is highly speculative, although the Old Empire and Northlands being linked is based on an observation by Joe that if they weren't, our heroes could have just made the journey in Before They Are Hanged by sea. Nice work! SF author Peter Watts, the writer of Blindsight and the new Crysis 2 novel, has posted at length about his brush with necrotizing fasciitis, a disease which literally eats flesh and resulted in his leg being stripped down to the muscle. Watts talks about his experience here, complete with some fairly stomach-churning photos, but fascinating insights into the disease and its treatment. Best wishes to Peter for a speedy recovery. EDIT: I'll reiterate these photos are pretty gruesome right from the start, to the point that he drops in a calming photo of his cat at the halfway point to break up the grimness. The news about A Dance with Dragons has resulted in a storm of questions and uncertainty, some of which have been clarified over the last day or so. Here's the info people seem to want to know. As Martin stated yesterday, A Dance with Dragons is not entirely completed yet, but it has been mostly delivered. Both Voyager and Bantam have had the Lannister's share of the manuscript for some considerable time, and editing work has been going on for much of the writing period. According to my info, the American publishers have even typeset and formatted most of the book, and are just waiting for the last couple of chapters to be handed over. 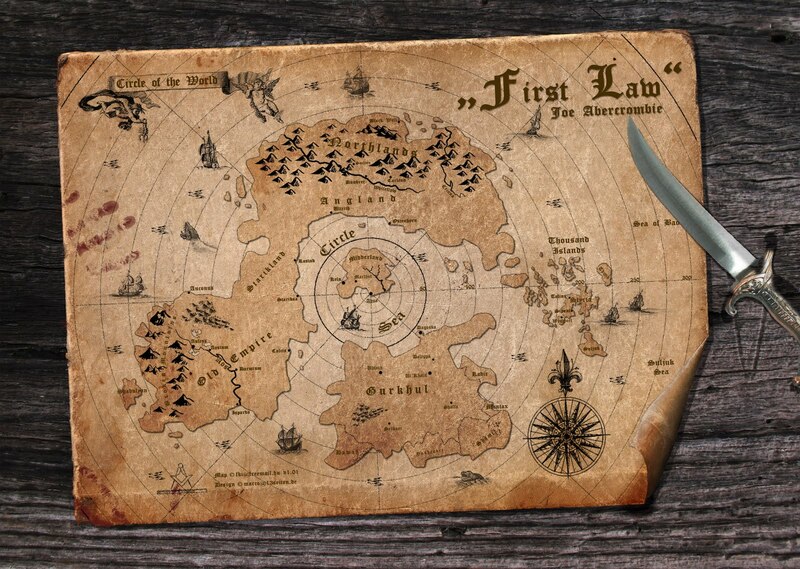 They've also completed work on the maps (according to some sources twice, as they decided to redo the maps due to the quality of some of the fan maps produced in the last few years) and apparently the appendices, bar a couple of tweaks. Martin has also confirmed that his current page-count is just a smidge over 1,500 in manuscript, and the draft pages he's working on and editing at the moment should carry it to 1,550, or just a bit longer than A Storm of Swords in length. A Dance with Dragons will be published in one volume in hardcover and tradeback in the UK and USA. It should also be published in mass-market paperback in the USA in one volume, probably 18-24 months after US release. However, the mass-market paperback for the UK edition will be in two volumes, published a year or so after the hardcover. Those British fans thinking on holding for the paperbacks for reasons of cost should know that it will be more cost-effective to get the hardcover, since the hardcover will likely be hugely discounted on release. Voyager are definitely planning a Day 1 e-book release alongside the hardcover. I also understand that Bantam are planning to do the same thing. 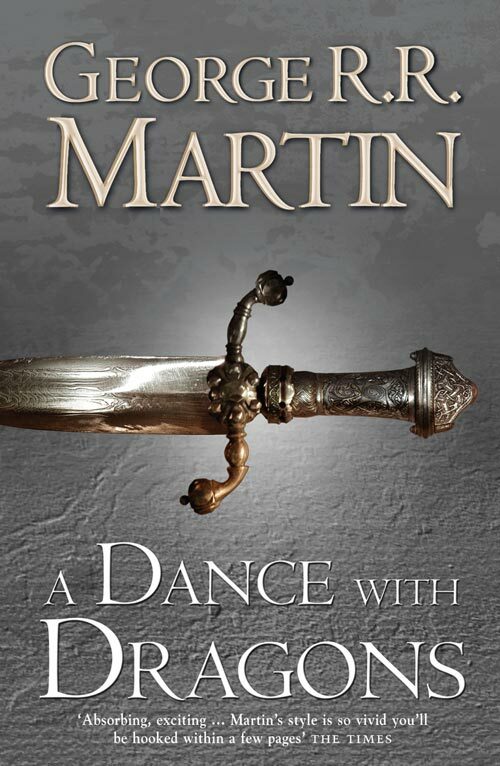 The British cover art for A Dance with Dragons remains what was unveiled back in 2009, the silver cover with the sword hilt on it. Voyager have no plans to change this image, or the existing cover art for the series which they've stuck with since 2003. 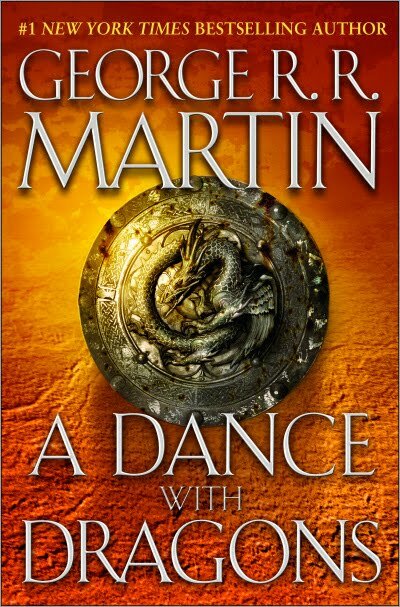 The American cover art for A Dance with Dragons has changed, however. The original green cover (in keeping with A Feast for Crows and the 2002 American reissues) has been ditched for good, as has the variant cover featuring a dragon in a green and black spiral. George posted two images for the American cover, and it is unclear if one or both will be used (similar to how The Name of the Wind had two variant covers), or if one is for the ebook and one for the hardcover etc etc. This still needs to be clarified. A Dance with Dragons will feature redrawn and new maps of Westeros, plus the first map we've ever seen of the Free Cities. Last year Martin confirmed that some AFFC characters will appear in A Dance with Dragons as well. This is because some of the storylines in AFFC actually took place earlier than others in the book (particularly the Greyjoy/Iron Islands chapters), in fact during the events of A Storm of Swords, and ADWD can re-synch those storylines. ADWD also catches up with the events of AFFC between the 50 and 75% mark and more AFFC characters appear at the end of the book. 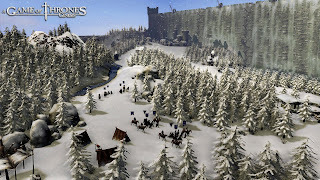 What about stuff being moved into The Winds of Winter? Martin has confirmed that some chapters and POV characters have moved from A Dance with Dragons into the next book, making up about 100 manuscript pages.